Wissing is a leading urban design and planning consultancy office in the Rotterdam region, The Netherlands. For over 60 years we are known for our innovative and pragmatic approach. Wissing is a reliable partner in complex urban design and town planning issues. Combining know-how to provide economic growth and better living conditions. 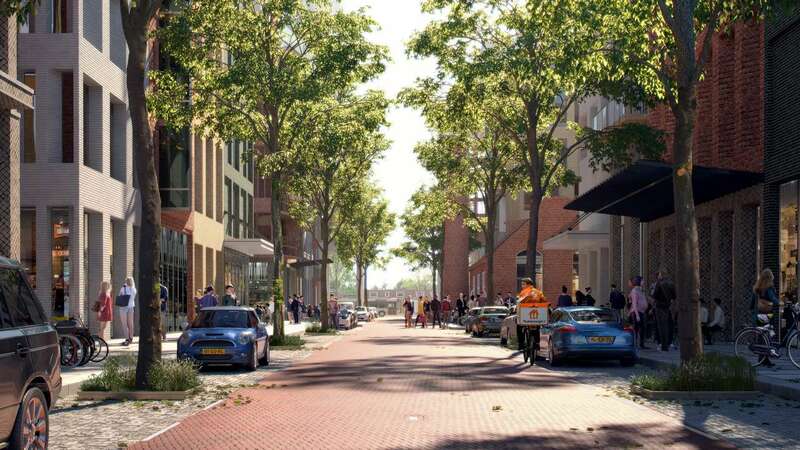 In recent years we have an international follow-up to our commitment with complex town planning projects in The Netherlands. International clients recognize our creative approach and extensive knowledge of the organization of complex urban networks, but also our comprehensive vision towards urbanization issues is highly appreciated. Together with national and international partners Wissing works on urban developments in Africa and the Middle East. We work in international collaborations with design- and engineering firms and renowned knowledge institutes like Deltares and Alterra. We combine our know-how and expertise on the challenges of urban strategies, climate change, water management and engineering. This know-how provides innovative tools for economic growth, a higher degree of urban organization, better living conditions as well as an increasing degree of resilience to the effects of climate change. For every commission we are able to create specific solutions in which planning, energy, water, engineering and social aspects are integrated into a comprehensive design. Thus we organize the basis for a sustainable growth or reconstruction of the urban environment. Wissing, Deltares and Witteveen+Bos developed the ‘Masterplan 2025’ for the port city of Beira. The project is part of the Dutch government’s ‘Water Mondiaal’ programme. Beira faces several major challenges in areas as diverse as climate change, spatial planning and the provision of basic infrastructure such as transport, drainage, coastal protection, drinking water and sanitation systems. The city has a population of over 450.000, and this number is expected to double (modest scenario) or triple (maximum scenario) in 25 years time. Not only must Beira find and create space to accommodate its people, it pursues a significant expansion of its port facilities and must find ways of protecting itself against the effects of rising sea levels and heavier rainfall. 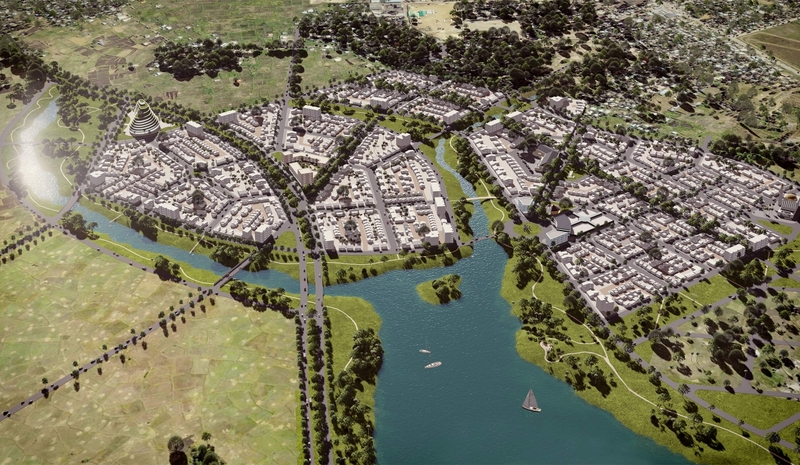 The Masterplan will address all relevant issues in a fully integrated approach at a strategic level. There has been close consultation with local stakeholders throughout the planning process. We arrived at a strategic vision in a way that enjoys maximum support. Part of the project is to realise a longlist and shortlist of follow-up projects. Successful implementation of the proposed projects requires the shortlist to be submitted promptly to international financiers such as the World Bank and the African Development Bank, as well as to public and private parties in Mozambique. For Duncan Village to be properly connected to the centre of East-London, the character of D.S. Highway should be fundamentally changed from highway to a pedestrian – oriented artery. Cars should be allowed (taxi buses etc), but should not be dominant. D.S. Highway should become D.S. Mainstreet, with wide sidewalks, lined with trees, houses, apartments, shops, offices, etc. As to the location of multi-story housing the area of Douglas Smit highway and the higher grounds of C-section and Duncan Village proper, overlooking the area, seem to be most appropriate. The areas in between could be used for one and two storey housing still in relatively high densities. In cooperation with Intervolve (NGO), Wissing made an urban redevelopment plan for a neighbourhood in Awassa, Ethiopia. Through an integral approach the living circumstances in the neighbourhood are being lifted to a higher level. This approach is aimed at project concerning employment, education, healthcare and dwelling. Inhabitants participated on a voluntary base. For several years the consultants of Wissing Urban Design + Planning are involved in Master Plans for several Iraqi cities, for instance Qurna, Samawa, Rumaitha and Khider. The Master Plan for Qurna is a successful study to the growth of the city towards 2035. Caused by an annual increase in the urban population of about 3%, the city will double in size. This influences housing, public services, the local economy, but also the necessary roads, green areas waterways and technical infrastructure. As Qurna is situated on the confluence of the Tigris, Euphrates and Shatt al Arab rivers, this is the most important feature, giving the highest spatial quality to the future city. For the historic city center and the confluence we designed the public space as well as tourism, retail and cultural facilities. Thus Qurna is given a strategy to guide the growth of the city in a balanced way. A comprehensive strategy for balanced urban growth for the city of Qurna, Iraq. Wissing participated with Van den Berg Group, in the design competition for low cost housing. With the competition entry we offered the Iraq Ministry of Housing an economic feasible concept and thus the opportunity to strengthen their objective to built sufficient houses for low income families. We invented an economic advantageous housing concept, that can be applied in cities, in existing Master Plans as well as in the smaller towns and villages. The concept is not fixed to one location, but is applicable in each of the 19 governorates of Iraq, from the high north to the deep south. The integral design concept covers urban design, the urban building block, the architecture of the building as well as the building materials and the building process. Only through such an integral concept, large scale advantages can be achieved in the demand for low cost housing. Wissing was asked to participate in a design competition for the location “Wasserstadt” in Hannover, Germany. This former industrial area partly built with industrial monuments, is located in between two canals. These canals determine the triangular shape of this urban peninsula. The living environments consists of a great variety of houses situated along the water, both in and over inlets from the canals. Houses are situated either within a calm, garden village atmosphere or an urban environment more in connection to the surrounding urban areas. Thus a variety of housing conditions was created in which a central park with a new shopping centre and workshops is the main public space. The city of New Delhi is expending fast. This is partly because of emigrants returning from Europe. Educated and experienced in Europe, they like to live and work in a European-like surrounding in the heart of India. For this purpose Wissing designed a European Technology Park with houses, offices and leisure facilities on a central spot south of New Delhi. The Park is located near the new international airport as well as in the vicinity of the new ring road. The Park is situated on the lakes and valleys of the Araballi mountains. The valley views gives the estate a high environmental quality. We made use of the unstable water levels of the rivers coming from the mountains into the valley. The design can incorporate low, medium as well as high levels of rainwater. In each stage the residential areas and the city centre gain their spatial quality from this environmental context.